Chelsea Manning has posed for a swimsuit shoot for the latest edition of US Vogue which was photographed by famous celeb shooter Annie Leibovitz. 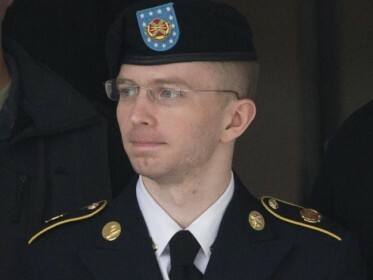 Manning shot to global fame in 2013 when as a male soldier – Bradley Manning – he was jailed for leaking sensitive information about the US military to WikiLeaks. He later had his sentence commuted by then President Barack Obama. The 25-year-old transgender former soldier has been photographed wearing a red bikini and reveals in the accompanying interview her desire to enter US politics. Manning has been living in a sleek Tribeca building in New York since her release and managed to walk around the city unnoticed for weeks after her arrival.